It was then that inspiration struck. 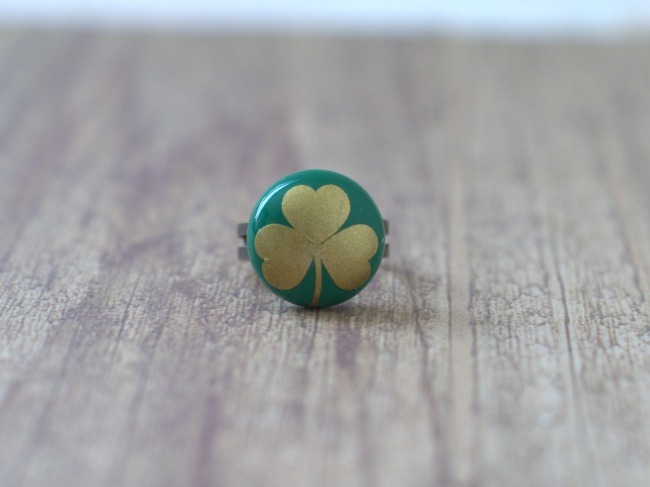 In about 5 minutes we had this really fun upcycled vintage ring designed and made. If you’re having trouble finding these items, or you don’t have a Silhouette machine, never fear. 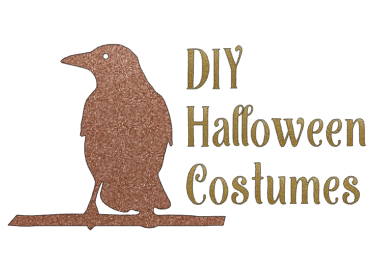 We’re putting together a kit that you’ll be able to purchase very soon. Clean your cabs and ring blanks with rubbing alcohol and set aside. The cabs are old and have been touched by who knows what. The ring blanks probably have some manufacturing residue on them. 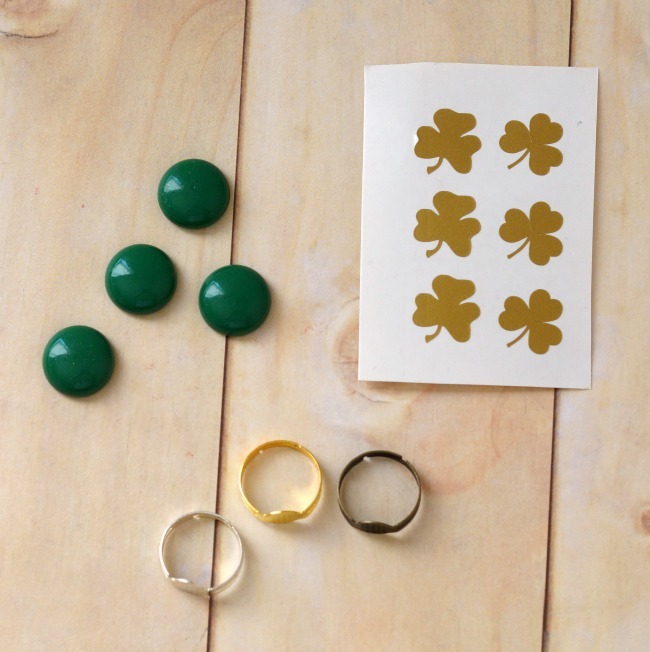 Find a simple shamrock design you like, and cut it out of the gold vinyl with your Silhouette machine. I found a clip art design and used the trace feature. These are about 0.6 inches tall. 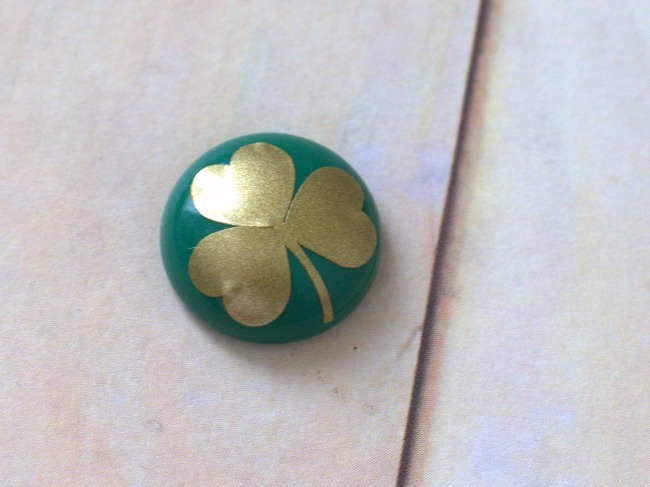 Remove one of the shamrock decals from the backing and carefully place it on the cleaned vintage lucite cab. Once you make sure there aren’t any major wrinkles, burnish it down well. There may be small wrinkles at the end of the leaves, but they’re easy to work out. Add a small dab of E6000 to the back of the cab and the ring blank. A grain of rice size is plenty of glue. Give them a second, then smoosh the two pieces together. 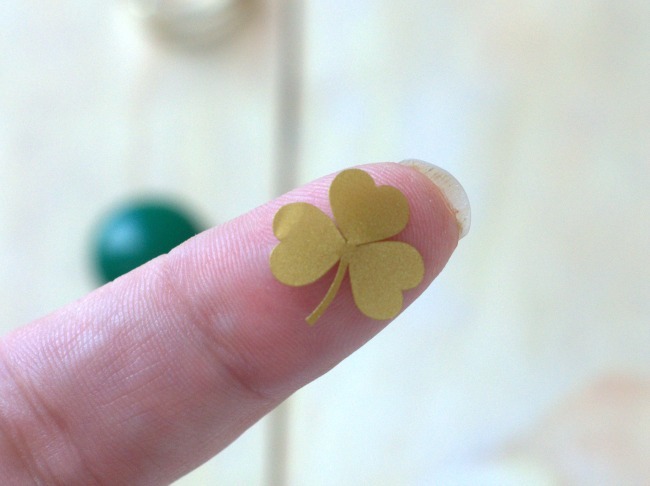 Take care to make sure the clover is right side up. Set aside, and let the ring dry. Voila! 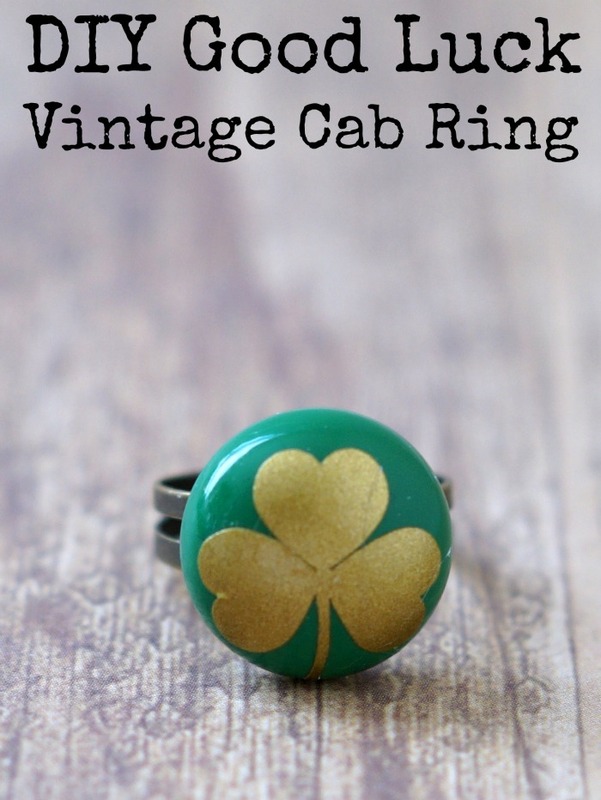 You now have a really fun Good Luck Vintage Cab Ring! That came out really good. I definitely need to play with my Silhouette more often. These are so super cute! I will have to make these with my daughter! Fun!